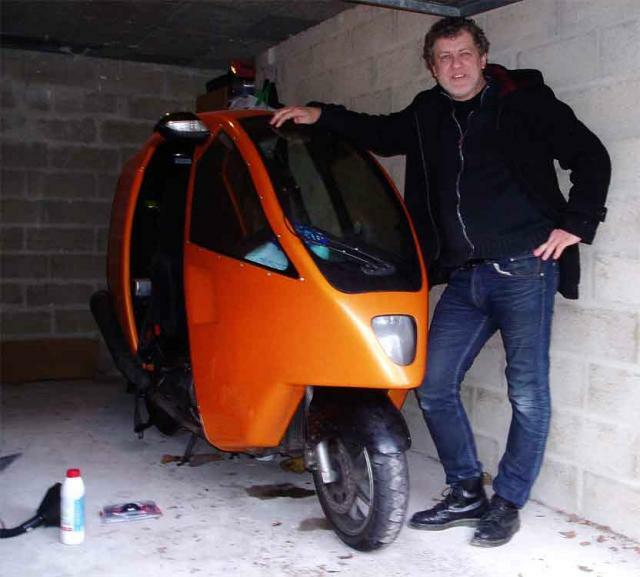 Yannick Picard, long time stalwart of the FFMC and Moto Magazine with Genesis in his garage just outside Paris. Note the plastic milk bottle and funnel with extension tube on the floor, used for topping up the radiator with coolant after removing the thermostat. Photo by Blez with the Olympus 'happy snapper'. I first met Yannick, way back in 1983, when I took the Flying Banana to the Bol d'Or 24 hour race at the Paul Ricard circuit.